Coimbatore, Feb 24 (IANS) Chennai City FC inched closer to their maiden I-League title after defeating Mohun Bagan 3-1 at the Nehru Stadium here on Sunday. 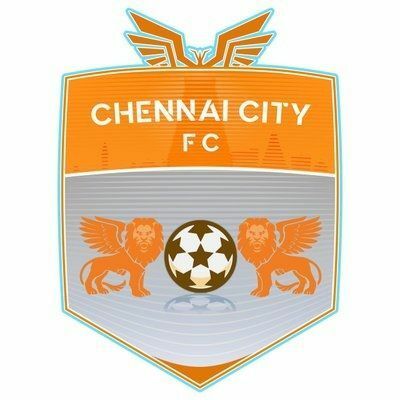 Chennai, who have been leading the pack since the start of the season, have 40 points under their belt from 17 games. Second-placed Real Kashmir FC are seven adrift of them whereas Quess East Bengal are eight points shy of the pole. Mohun Bagan, whose league hopes had blown up long ago, will stay stranded in the sixth spot with 26 points from 18 matches. Chennai City FC fired in three quick goals through Sandro (8'), Nestor Gordillo (15') and Pedro Manzi (23'). William Lalnunfella got the only consolation goal in the 37th minute but the damage has been already done by then. Gordillo, who was in the staggering form since the kick-off, scored one and created a couple to pave the win for his team. He was bestowed with the Hero of the Match silver ball and the cheque for his annihilating display. Attacks in regular intervals through the combination of Edwin, Gordillo and Manzi seemed threatening enough for Mohun Bagan who seemed to falter in their defence but somehow kept the charging southerners from scoring the first in the first 5 minutes. Chennai's efforts soon yielded result breaking into the defence line of Mohun Bagan when Gordillo chipped it from the centre-circle over Mohun Bagan goalie Shilton Paul to draw the first blood in the 8th minute. Chennai continued their free-flowing football and took only six minutes to double the lead. On a quick counter-attacking move, Ajitkumar and Gordillo played a 1-2 to take it forward. Gordillo darted in a terrific pass to an onrushing Sandro who did no mistake to rattle the net in the 14th minute. Mohun Bagan seemed to be rattled and unable to work around an alternative to counter the continuous attacks from Chennai City FC and matters got worse when Chennai pumped in their third goal in the 23rd minute through Manzi to take the scoreline to 3-0 with still two quarters to go for the first half. Gordillo took it on his own to cut in from the left before passing it to Manzi who was surprisingly left completely unmarked. Manzi kept his calm to net his 19th goal of the league to put his team in the driver's seat. Lalnunfella came to the rescue of the visitors when he scored a brilliant goal on the rebound in the 37th minute to bring some hope to the Mariners' squad. While the first half was eventful in Chennai City stamping their authority owning the lions share of possession, the second half started with Mohun Bagan trying to stage a comeback into the game, but lack of a good finish restricted them from reducing the two-goal deficit. The game got into an interesting turn in the 79th minute when Gordillo fed Manzi with a sublime through ball to see the latter gunning down to score his second. Paul, who didn't have a nice outing tonight, couldn't do much but push the onrushing Manzi outside the box which left the referee Santosh Kumar with no other option but to give him the marching orders. Ricardo Cardozo was brought in to safeguard the woodwork immediately and the youngster somehow managed to keep the scoreline unchanged until the final whistle.